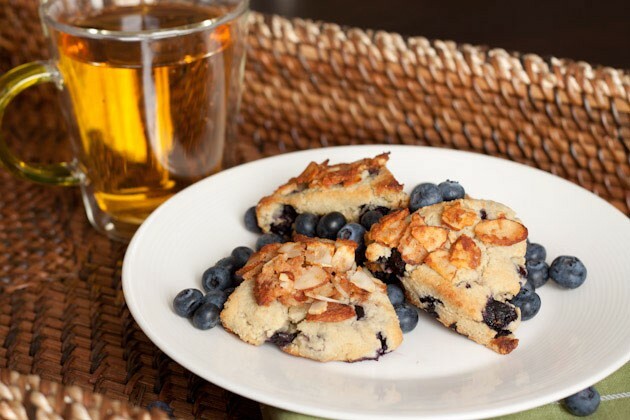 These scones are topped with crunchy cinnamon almonds and overloaded with natural blueberry flavor. 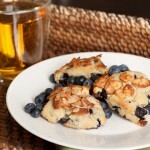 Shape dough into 12 small scones, 1/2 inch in thickness and place on prepared cookie sheet. To keep vegan/egg-free – replace egg with 1 flax egg – 1 tablespoon freshly ground flax mixed with 3 tablespoon water and egg white with 1 tablespoon of apple sauce.